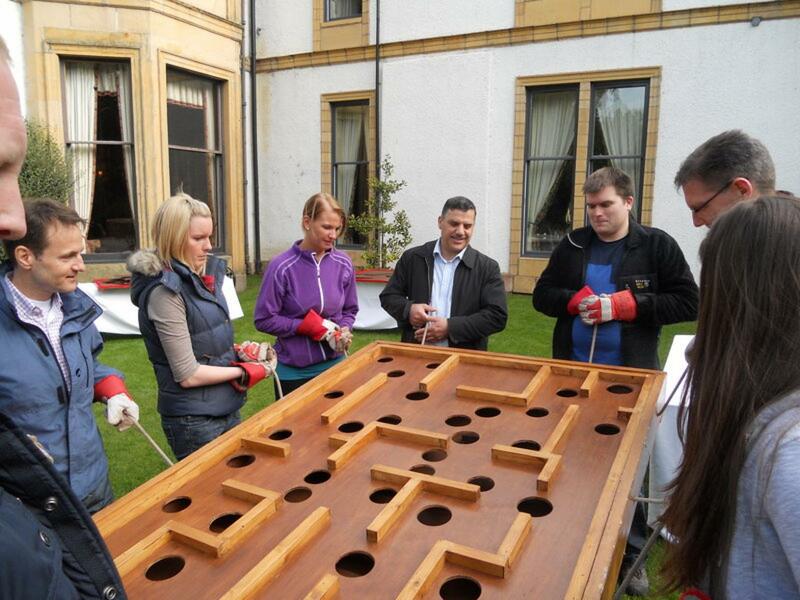 The fabulous Norwood Hall Hotel was the setting for the Subsea7 conference and Outdoor Team Building Event with Team Challenge Company. 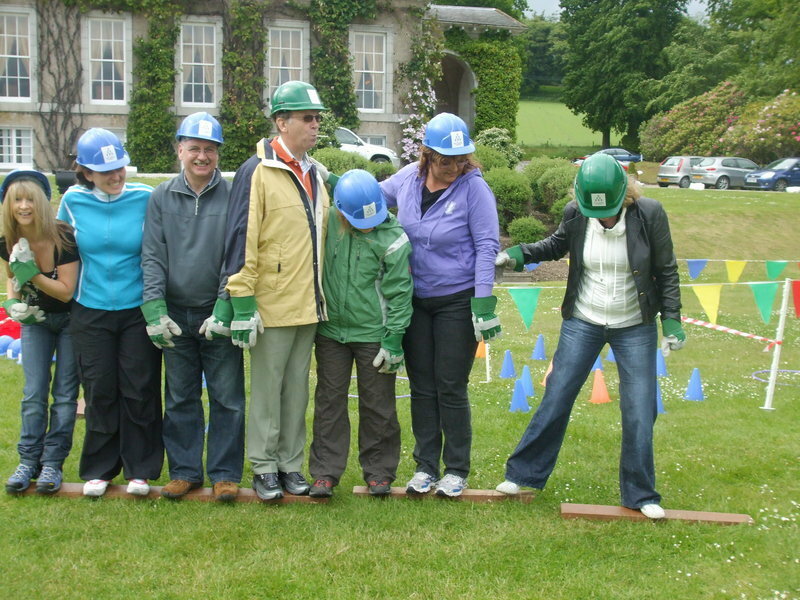 The fun-filled Crystal Challenge awaited the nervous onlookers, but once the teams were chosen and they were set off on their way, the nerves quickly turned to excitement for a fantastic afternoon of entertainment. The leopard-print lover arrived in style to brief the teams and after a few words on safety, we dived straight in to the series of tricky physical, mental and skill challenges, where teams would compete to earn crystals and gain time inside the Crystal Dome! Towers of Hanoii proved a challenge for Team 1 early doors, though the mighty Team 2, lead by Emma, were on fire right from the off! The fun continued right throughout the afternoon, as the teams did everything they could to take home those crystals...we even thought they might resort to a little bribery at one stage! Dressing up as Chickens, Farmers and Foxes was certainly one ofthe highlights for all teams during the afternoon, in a physical challenge that also put brainpower to the test! 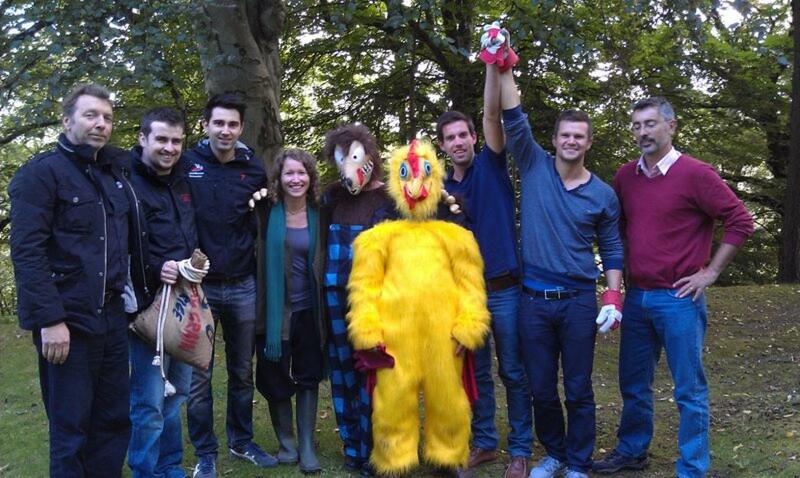 Once again Ashley, we're sorry you couldn't take the Chicken Costume away with you, we know how much you liked it...! Many of us learnt something valuable from the NASA Challenge, if you ever happen to crash land on the moon, avoid the advice given to you be Team 4...! With crystals being won left, right and centre, a sense of anticipation filled the group as we moved to the grand finale, the Crystal Dome! 5 brave souls, one from each team, stepped up to jump inside the Crystal Dome, all hoping to grab the golden tokens and walk a way with victory! Ashley and Helen were not to be flustered, Kitty was a Demon inside the Dome, and Martin was unstoppable...I have never seena man grab money so fast!!! When all the tokens were counted, and with the scores checked and verified, the Winner's Trophy was presented to the senatational Cystal Callenge Champions, Team 5! It was a truly fantastic afternoon with lots of competition, laughter and involvement from all the teams. It takes a lot of effort to put something like this together, so a big thank you must go to Ashley for all her hard work and effort in making the day such a success! It was a pleasure to work with the entire team from Subsea7, and we hope to see you all again soon for the re-match! 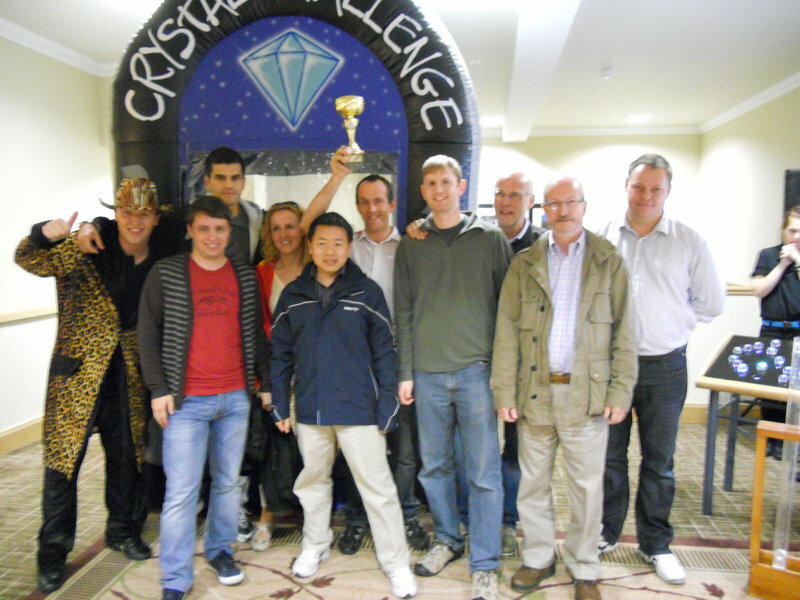 What an absolute pleasure to work with the team from Subsea7, all so competitive and all fully in the Crystal Challenge spirit! My personal highlight was inside the Crystal Dome itself, Martin really stepped up to the plate and did his team proud, winning by just one Golden Token...what a legend! 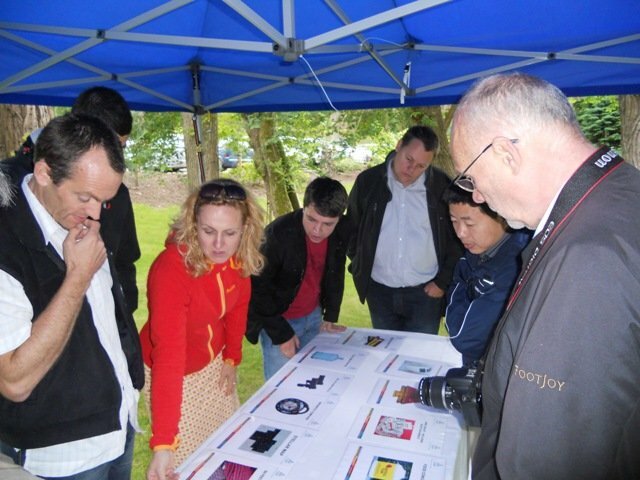 It was great to work so closelywith Ashely on designing and delivering this fun-filled Team Building event, I sincerely hope you all enjoyed the afternoon, and we hope to work with you all again soon.